The Week in HD - Monday 17th June | What Hi-Fi? 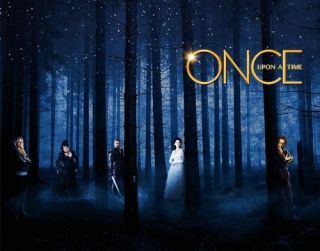 A charming show about how a young, adopted boy starts to believe that his foster mother is the Evil Queen from his fairy tale book, and that all the other residents in the sleepy town of Storybrooke, Maine, are really fairy tale characters, banished from the fairy universe after the evil queen's curse robbed them of all of their happy endings. He enlists the help of his long-lost mother to help the residents remember their past lives and attempt to break the spell, meeting legendary fairy tale characters (with a twist) along the way. Stars Jennifer Morrison, Robert Carlyle, Megan Ory, Lana Parilla, Jamie Dornan, Emilie de Ravin, Sebastian Stan, Ginnifer Goodwin, and David Anders. Gillian Anderson and Jamie Dornan star in this gripping BBC thriller set in Northern Ireland. When a serial killer is stalking and murdering young women across Belfast, a talented detective is called from the Metropolitan Police in London to help capture him. The Face of Death. We've only just heard the news that Showtime has cancelled the Renaissance drama, so this third series of The Borgias is to be the last in which we ever hear or see the extravagantly corrupt family. From the first episode's title, we can presume that this is not going to be a particularly happy season. 1998. You'll always remember where you were when Geri left the Spice Girls. Music was never the same again. Jack Whitehall, Sharon Horgan, Julia Davis and Reece Shearsmith take comedic turns in portraying some of history's most iconic women in this superb sketch show by Jeremy Dyson. Sorbet. Sorbet is my favourite episode of Hannibal so far. This might be a strange reaction to a series that's so dark and unsettling and on occasions gruesome, but this episode is hilarious. Why? Because the entire episode is about Hannibal preparing for a dinner party. Online dating. After last week's surprise double firing, anything could happen. And it does - the task this week is to come up with a completely new online dating concept. While each team hones in on a target audience and take to the streets to find the singletons, there are surprises in store when it comes to filming the ad for their new dating site, as one candidate from each time must play a starring role. Reality Star Struck. Castle and Beckett investigate the murder of a reality TV star. Firefly shipmate Gina Torres guest stars. The Quality of Mercy. The penultimate episode of the penultimate season - and Don has to face the consequences of Sally finding out about his infidelity, while Pete has to deal with unwanted attractions. Gary Delaney, Miles Jupp and Nathan Caton are guest panellists this week trying to find the funny in the news to mock and laugh at. Spot the lies from the truths, with guest stars Greg Rutherford MBE, Kirsty Young, Joanna Scanlan and Henning Wehn joining regulars David Mitchell, Lee Mack and Rob Brydon. Holiday. Miranda wants to go on holiday. But she can't go on holiday. So she pretends to go on holiday. The Live Final. The second series of The Voice comes to an end with the fate of the four finalists in the public's voting hands. Each contestant will sing one song, and then another with their respective mentor, before finding out if they've won their life-changing 100,000 and record deal with Universal Republic. With the 2013 Wimbledon Championships fast approaching, we get into the tennis mood by reminding ourselves what happened at last year's Championships. A documentary showing us what it's like to be Andy Murray. Taking us behind the scenes and off the court, we get a peek into the US and Olympic champion's private life, with contributions from family, rivals, tennis legends and famous fans. Julien Temple's acclaimed documentary about the history of the mudtastic Glastonbury music festival, featuring contributions from David Bowie, Nick Cave, Bjork, Radiohead, Blu, Prodigy and many more.